Application, interview, job offer — wouldn’t it be nice if getting a new gig was always as simple as this? As internationals in this country, we need to do more to stand out as candidates and enhance our skills while making valuable connections. Volunteering can be a smart way to help you ease into the job market and provide you with the necessary support network. Many job seekers do not realize the value of volunteering for building relationships, extending their network and discovering new career opportunities. It might seem as their skills are not needed in volunteer work, or any time they spend volunteering takes away time that could be used for job seeking. Taking time out of your own life to help others is a sure-fire way to impress prospective employers and challenge yourself too. It’s often the case that once you display your passion for the organisation and its mission, and have demonstrated your abilities, you’ll earn strong consideration when a paying position opens up that can benefit from your talents. Tetyana Benzeroual, BSc (Hons) Psychology, has lived in The Hague for four years. 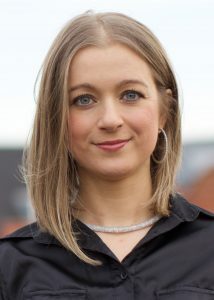 She started her career path in The Netherlands as a volunteer and later was hired as a project manager of Volunteer The Hague (https://volunteerthehague.nl/), a project that connects internationals with meaningful volunteer opportunities at local non-profit organisations. Tetyana is a true citizen of the world who lived, studied and worked across North America and Europe. She is keen to share with you her experience and expertise, as well as to give you some insider tips on how volunteering can benefit your career.